Recently a correspondent, Manfred from Germany, asked me a question. As I have been asked this same question several times before and have even thought about it myself, I thought I might a try to give an answer it on my blog. There is the question - There is a very odd story in the Tipitaka where the Buddha instructs some monks to do the meditation on the repulsiveness of the body and then goes on solitary retreat. While he is away some monks become so disgusted with their bodies that they commit suicide, and one of them even offers to kills the other monks wanting to be free from their repulsive bodies. Only when the Buddha returned from his retreat does he address the situation. My question is: How is it possible that the Buddha, who is regarded by Buddhists the “incomparable Teacher of gods and men”, and who had the ability to foresee the destinies of beings, let it come to this? If this story is true he can’t have been a very good teacher, one might say. The incident that Manfred is referring to, admittedly a rather troubling one, is to be found at Vinaya III,68-71. Most scholars agree that the Vinaya in its present form is significantly later than the four Nikayas and its language, structure and the historical data it contains all confirm this. When we look at the mass suicide story the first thing we notice is that like many stories in the Vinaya it is formularistic, which suggests that it is artificial. We also have to consider the context in which the story is found. It occurs in the third part of the Parajika which deals with murder. Each situation or behavior that would or might be considered murder is illustrated by a story. Some of these stories are plausible and may have actually happened, others are rather forced and implausible. The mass suicide story looks very much like it has been constructed as an excuse to make a rule concerning encouraging a person to kill themselves or to assist them in killing themselves, rather than being an incident that actually happened. Can we really believe that 60 monks (that’s what the story says) a day killed themselves simply by doing the meditation on the repulsiveness of the body? So I would a suggest that the mass suicide is illustrative rather than actual. Now we come to the second part of Manfred’s question – Was the Buddha really a ‘teacher of gods and humans’, could he really foresee the destinies of other beings making him a perfect teacher? Certainly the four Nikayas portrays the Buddha as an exceptional skillful teacher and I have no doubt that this portrait and the many examples of this teaching skills are authentic. I even believe that his wisdom was so sharp and his understand of the human psyche was so profound, that he was often able to know exactly what was best for a person as far as meditation. In fact, it was probably this ability that gave rise to the belief that the Buddha could unfailingly read everything in the mind of every person who approached him. Yesterday was the second anniversary of Dhamma Musings. For two years I have blogged nearly every day except when I was out of Singapore. I haven’t counted how many blogged I posted during these two years but its about 640. 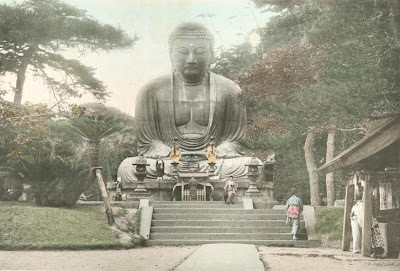 While most of these have been about one or another aspect of the Dhamma, I have also blogged about Buddhist art, history, culture, currant affairs and occasionally about a few things that are only distantly related to Buddhism. It has been a most fruitful two years for me. It has required me to revisit various aspects of the Dhamma, look at aspects of it that I have never or only rarely looked at before, and give to some thought to things I never have before. You, my readers, through your comments, have been appreciative, informative, kindly, and occasionally challenging. I have enjoyed at all enormously. However, blogging daily is now proving to be taking too much of my time and energy. So from now on I intend to blog irregularly, although I will try to post at least one blog every Sunday. In the meantime, I invite readers to check out some of my old posts that they may not have read before. Here are a few of my favourites. Being disabled is the state of being physically or mentally less developed or incomplete. Some misinformed Buddhists believe that to be disabled must be the result of having done something negative in a former life. Such a belief is a good example of what can be called kammic naivety. Positive or negative kamma manifests itself as either positive or negative feelings. In reality, a person with a physical handicap can be as happy as a fully developed person, sometimes more so. It has likewise been observed that people with Downs Syndrome are often gentle, loving and innocent, in stark contrast to some 'normal' people. We may see a disabled person and think: 'I would not like to be like that' but our own feelings are no indicator of theirs. It is quite possible that a disabled person could accept their condition and be happy, content and fulfilled. This being so, it is an unsafe generalization to say that being physically or mentally disabled is the result of having done something negative in the past. Science has demonstrated that most disabilities are due to a genetic fault and thus from the perspective of Buddhist doctrine, have their cause in biological and physical laws (bija niyama and utu niyama), not kamma. Some of the Buddha's disciples were physically disabled – Khujjuttara was a hunchback and Bhaddiya was a dwarf. The first was praised by the Buddha for her great learning (A.I,26) and the second for his beautiful voice. Khujjuttara attained the first stage of enlightenment and Bhaddiya became fully enlightened (S.II,279). Clearly, being physically disabled is no barrier to spiritual attainment. The Buddha made it an offence for monks or nuns to mimic physical disabilities (yathavajjena kilanti, Vin.III,179). The Buddha and his ordained disciples spent a significant amount of their time in natural surroundings. 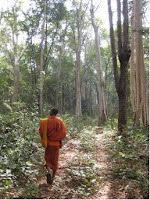 This was mainly because forests offered them the silence and peace that can make meditation easier. But apart from this advantage, it seems the beauties of the natural world, of the groves and hills, the flowers and the jungle pools, the rustle of the leaves and the songs of the birds, have in some way the ability to enhanced meditation. The Buddha specifically mentioned that he decided to settle down to do the final meditation just before his enlightenment at Uruvela (i.e.Bodh Gaya), in part because of the sylvan surroundings. He said: ‘Then, being a seeker for the good, searching for the incomparable, matchless path of peace, while walking on tour through Magadha, I arrived at Uruvela, the army township. There I saw a beautiful stretch of ground, a lovely woodland grove, a clear flowing river with a delightful bank and a village nearby for support. And I thought, "Indeed, this is a good place for a young man set on striving." So I sat down there, thinking, "Indeed, this is a good place for striving." ' (M.I,166-7). The Visuddhimagga says that different psychological types can meditate better in location better than in another. A person prone to negative passions, it suggests, does better in an ‘abode provided with shade and water, with well-proportioned walls, pillars and steps, with attractive frieze and lattice-work and brightened with various types of paintings’.A slow-minded person should, it continues, do their meditation an un-enclosed location, for example `where gardens, groves and ponds, pleasant prospects, panoramas of villages, towns and landscapes and the blue haze of the hills are visible’. (Vis.110). If the beauties natural world can assist meditation it is also true that the meditator’s mind can develop a heightened awareness of and appreciation for beauty, including natural beauty. When someone told him that he found the forests frightening, the Buddha replied: ‘At the midday hour when the birds are quiet, I find the rustle of the great forest delightful.’ (S.I,7). Much of the poetry in the Theragatha and the Therigatha bears eloquent testimony to the link between successful meditation and the sensitivity to nature. The monk Bhuta said that meditation together with sylvan surroundings filled him with the highest joy. ‘When the storm clouds rumble and pour down their torrents and the birds take to the sky, the monk who has gone to his grotto to meditate finds no greater delight than this. When happily meditating on the flowery river bank, surrounded by the many and varied plants, he finds no greater delight than this. When night comes to the lonely grove with a shower of rain and the roar of the fanged beasts, the monk who has gone to his grotto to meditate finds no greater delight than this.’ (Th.522-4). Another monk, Talaputa, composed these verses. ‘In a rocky grotto on a mountain peak, a delightful place, where wild boar and deer roam, sprinkled with rain drops, I go to my cave and rejoice. Peacocks with their azure necks, beautiful crests, colorful tails and variegated wings, greet the rolling thunder with their calls. What delight as you meditate in the woods! And when the rain has fallen, when the grass is four fingers high, when the forest is in full bloom, I shall drift like a cloud on the mountain, lie like a tree in the forest, light as a wisp of cotton.'(Th.1135-7). A few passages in the Tipitaka even suggested that the beauty of the landscape could be enhanced by the enlightened ascetics who chose to make it their abode. ‘Whether in village or forest, on hills or plain, wherever saints live, that is a delightful place.’ (Dhp.98). This world is entangled in a tangle. 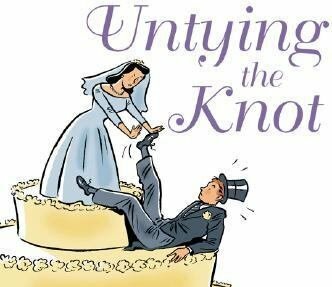 Who can untangle the tangle? Will untangle the tangle (S.I,13). 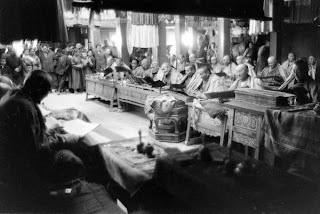 Communist repression in Mongolia had its climax between 1937 and 1939 The purges affected the whole country, although the main focus was on upper party and government ranks, the army, and especially Buddhist monks. The usual accusation was collaboration with supposed pro-Japanese spies. The number of people killed in the purges is usually estimated to have been between 22,000 and 35,000 people, or about three to four percent of entire Mongolia's population at that time. 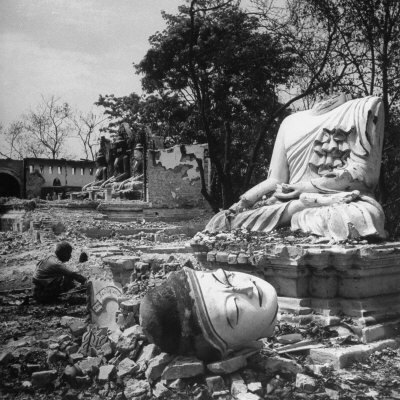 Nearly 18,000 victims were Buddhist monks. Some scholars give much higher estimates, up to 100,000 victims. The closure of all but one monastery and destruction of all but a few meant that Mongolia's cultural landscape was changed forever. Ganden Monastery in Ulaanbaata, the capital, was closed in 1938 at the height of the purges but reopened in 1944. It was the only monastery in Mongolia to remain functioning mainly for propaganda purposes. A series of mass graves were investigated in 1991 in Moron and in 2003 near Ulaanbaatar. This second grave was estimated to have about 1000 bodies in it. The corpses of hundreds of executed lamas and civilians were unearthed, all killed with a shot to the base of the skull. The Museum of Victims of Political Persecution in Ulaanbaatar is dedicated to the victims of the purges. One of the exhibits is a row of skulls with bullet holes dating from the time of the purges. Mongolian Buddhism has been struggling to reestablish itself after 70 years of Communism and only about 50% of people now identify themselves as Buddhists. Christianity had gone from nothing in 1990 to about 35000 today. Have a look at this absolutely fascinating documentary made in 1991 about the tragic but little known fate of Buddhism in Mongolia. It contains rare footage of Mongolian religion and culture in the 1930s and 40s. it is in five parts and goes for an hour. The theme of the ‘grateful animal’ is almost universal in fables and folklore. The Jatakas contain numerous such stories, the grateful animal often being an elephant. And the motif is still by no means dead; it still has its appeal. Here is a rather delightful advertisement based on it. The picture is of a painting from Tsaparang. On the 9th Feb. I blogged about Rony Tan, the Christian pastor here in Singapore who got into trouble for denigrating Buddhism and Taoism. Unfortunately, this sort of thing is often associated with fundamentalist churches. Have a look at this three part documentary (about 20 minutes altogether) about the form it is taking in those parts of rural India that are being ‘targeted’ by such organizations. I would be a bit cautious about one or two things said by the politician being interviewed (the Congress Party controlled by foreigners!) but other than that the claims being made are generally accurate. Similar things are taking place in Buddhist countries too. A Sri Lankan resident of Bahrain has been arrested in Sri Lanka after writing two books in Sinhalese allegedly offensive to Buddhism. Sarah Malanie Perera, 38, was detained in Colombo on Saturday as she was due to leave Sri Lanka after a three-month holiday. Relatives in Bahrain fear she may not be allowed to return here as her residence permit expires today. Ms Perera came to Manama in 1985 to assist her elder sister Mariam, who owned a gifts and flowers shop called Madhuri in The Palace Hotel, Adliya. She worked there for two years before staying at home to care her elderly mother. Ms Perera later worked as an assistant accountant for the US Navy, before becoming a teacher at the Child Development Centre, Juffair. Born and brought up a Buddhist, she embraced Islam in 1999 after studying religion at Discover Islam. Her father, mother and sisters later also converted to Islam at separate times. ‘Ever since she (Sarah) embraced Islam, she was compiling a book on Islam and comparative religion’, said her sister Mariam yesterday. ‘In September 2009 she has completed her compilation. She has printed it into two beautiful books entitled From Darkness to Light and Questions and Answers. During her visit to Sri Lanka, she printed the books and was due to come back to Bahrain on Saturday. "She was sending some copies of the books through cargo and the owner of the cargo office, who happened to be linked with an organisation called Helaurumaya, contacted the police claiming the book was offensive to Lord Buddha.’ Mariam claimed the group forced the police to detain her sister beyond the 24-hour limit before a case must be transferred to the courts. ‘Sarah went home after taking three months holiday to finish a property issue, as my father died six years ago and no one was there to care for it’, she said. 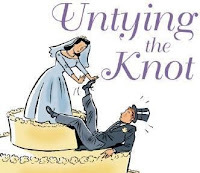 ‘As we all are married and have families plus jobs, it was impossible to go back earlier and thought she would finalise the matter during her vacation. But we didn't know she would be arrested for writing the book.’ A Discover Islam official said the arrest of Ms Perera was unfair and demanded Bahrain’s authorities take action to ensure her quick release. ‘We want all the international authorities and human rights organisations to help sister Sarah’, they said. Relatives say Ms Perera’s books were not abusive to Lord Buddha and merely explained the original teachings of Buddha according to the Buddhist scriptures. They said she wrote it to explain why she chose to convert to Islam and it was an attempt to bring people of all faiths closer by recognising their similarities. Ms Perera is being held in Mirihana Police Station, Colombo, while investigations continue. That flit beneath the Master's eyes. But loves them at Kamakura. The warm wind brings Kamakura. A world’s -width from Kamakura. Wilfried left a comment on my blog of 1st April. 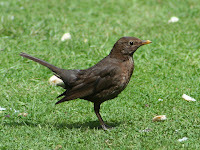 I had a look at his three blogs and on one of them is a video of a black bird singing. Because Wilfried’s blogs are in German I can't read them so I don’t know whether the video is his or not. Either way I was unable to find it on Youtube. But it did inspire me to post this video. Once someone commented to the Buddha that he found the forest to be rather frightening. The Buddha replied, ‘At the midday hour when the birds are quiet, I find the rustle of the great forest delightful’ (S.I,7). I’m fairly certain the Buddha would have found the sound of the forest delightful when the birds weren’t quite too. I know I do. You might like to listen to these sounds as you do your meditation this evening.